"I was clicking through Pinterest the other day and ran across a most delicious block posted by Quilt Twin. I knew I wanted to sew a couple up! 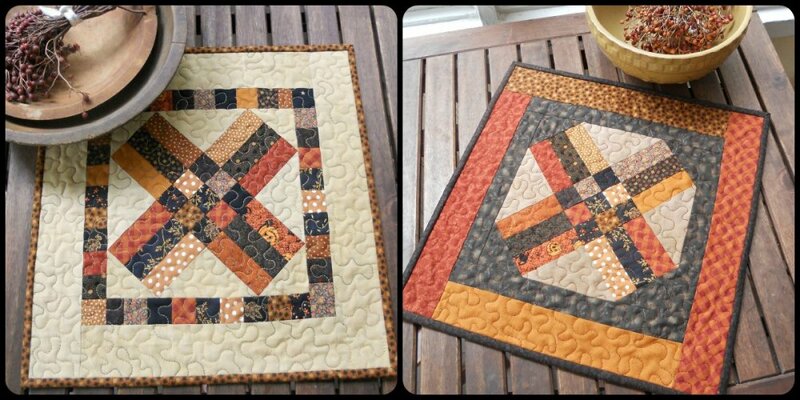 I also knew I wanted to make a couple new Autumn feeling little quilts. "I played around with my orange and black fabrics and came up with this setting which I thought I would share with you." 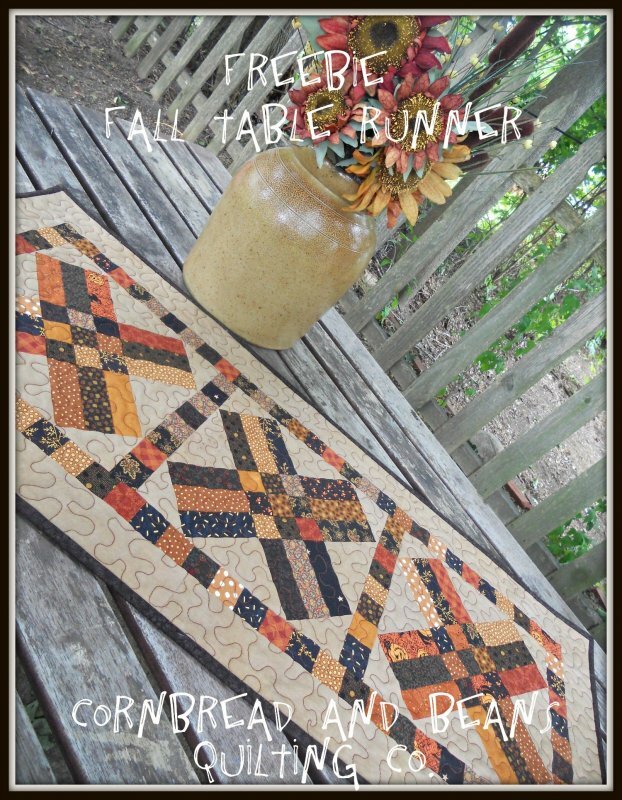 Visit the Website: Cornbread and Beans Quilting Co.